Steenberg Farm boasts the 5-Star Steenberg Hotel, with 24 rooms encapsulating the dictum of understated luxury, offering spectacular views and discreet, personalised service. The original Manor House has been lovingly restored and declared a Provincial Heritage Site. Here the legendary elegance and traditions of the 17th century blend harmoniously with the most refined comforts and conveniences of our modern age. A diverse dining destination with contemporary dining in a relaxed setting at Catharina’s Restaurant or tapas and bistro-style dining at Bistro Sixteen82 is complemented by a tasting of award-winning wines from Steenberg Vineyards at the Tasting Room adjacent to Bistro Sixteen82. Catharina is certainly one of the most daring and controversial figures ever to settle in the Cape. Life was not easy when she arrived, only ten years after Jan van Riebeeck landed, for 1662 was far from being the age of rights for women. Despite seemingly insurmountable challenges, this indomitable lady boarded a sailing ship, dressed as a man, and made the perilous journey to the furthest tip of Africa. Upon her arrival, she found that the Cape was no land of milk and honey. It was a fierce, wild place with rulings to match. This being no place for a lone widow of twenty-two, Catharina immediately found herself a husband, Hans Ras. He was not a particularly eligible catch (he was a soldier and free burger with a penchant for female slaves), but he had a house on the Liesbeek River, which he had bought from Jakob Kluten, founder of the famous Cloete family whose name has dominated Constantia for more than two hundred years. Once the wedding knot was tied, Catharina's life took on dramatic overtones, which marked its course from that day forward. Two wagons left the ceremony, with the bride and groom in one and the guests in the other. Lit from within by good Cape wine and overcome, no doubt, by the spirit of the occasion, the drivers decided to race one another back to Rondebosch. While the guests clung fearfully to their seats, praying to heaven with truly Protestant fervour, the wagons vied for position and as the road was rough and narrow, a collision soon occurred. Enraged at this conduct on his wedding day, the bridegroom jumped down from his seat and soon became entangled in a fight, receiving a knife thrust, which almost proved fatal – the weapon breaking in two between his ribs. He survived this incident and lived to father several children, but came to an unfortunate end when he was killed by a lion some years later. Legend has it that Catharina grabbed a gun, leapt upon her horse and gave chase, hunting down and shooting the offending lion the very same day. Fate had a good deal more in store for the girl from Lübeck however, for a Tribesman murdered her next husband and his successor was trampled by an elephant. Seemingly no less endowed with energy than Henry VIII, who surprised all Europe with his impressive total of six wives, Catharina then took unto herself a fifth husband, a hardy German named Matthys Michelse. In 1682 Catharina Michelse, also known as The Widow Ras, asked Simon van der Stel for a portion of ground at the foot of the Ou Kaapse Weg and he agreed to lease 25 Morgen to her. After he became the owner of Groot Constantia in 1685, she asked him for a legal title deed and a mandate was granted to her in 1688 to "cultivate, to plough and to sow and also to possess the farm below the stone mountain." This is how what we now know as Steenberg came into the possession of our famed founder. The farm’s original name was 'Swaaneweide' - The Feeding Place of Swans. Catharina, perhaps overcome by nostalgia for the swans of her native Lübeck Germany, mistook the area’s spur-winged geese for swans. These geese still roam freely on the estate, harking back to Catharina’s day. According to Baron von Rheede, who visited the farm and was served a luncheon of "radishes and freshly baked bread and beautiful cabbages", Catharina was a fiercely independent woman, "riding bare-back like an Indian and her children resembling Brazilian cannibals!" In 1695 Frederik Russouw bought the farm. There to witness the deed were Henning Huising (owner of Meerlust and uncle to Adam Tas) and Hugo Goyes. Russouw was a powerful and wealthy member of the Burger Council and it was he who built the new U-shaped house in 1695. He also made the first wines at Swaaneweide. Many years later in 1741, the Dutch East India Company decreed that from May to August each year, Simons Bay would be the official winter port, because "the north west winds in Table Bay had been causing untold damage and loss of life." Because Swaaneweide was exactly one day’s journey from Table Bay and one day’s journey from Simons Bay, this meant that many travellers would be obliged to overnight at the farm. Christina Diemer (the widow of Frederik Russouw) became the recipient of the highly profitable business of supplying hospitality to travellers and provisions to the fleet. When Christina Diemer died, it was her youngest son, Nicolaas Russouw and his wife Anna Maria Rousselet who inherited the farm. He had received the farm before Christina died and made an agreement to relinquish any further claim on the estate. Nicolaas and his wife had the farm from 1765 to 1801. It was Nicolaas who had the fine new "Holbol" gable built on to the front of the original house, the only one of its kind in the Cape Peninsula. When Nicolaas died in 1802, his son Daniel bought the farm from his mother, Maria. Due to difficult times and unfortunate circumstances, he sold it to Johannes Adriaan Louw of Fisantekraal (a brother-in-law) and Frederik Anthon Olthoff. The Deed of Sale was legally phrased and cut and dried and a letter appeared before the Master of the Supreme Court in August 1842, stating firmly that the sale to the two sons-in-law, one of whom was Johannes Adriaan Louw, had been legal. All Daniel Russouw's children were paid a cash share and signed acceptance of such a share. However the Russouw blood flowed in the Louw children's veins. Son of Johannes Adriaan, Nicolaas Louw's greatest passion was Steenberg. He went straight from school into farming and his three children –Andrew (architect), Jean and Nicolette – inherited the property jointly when he died in 1976. 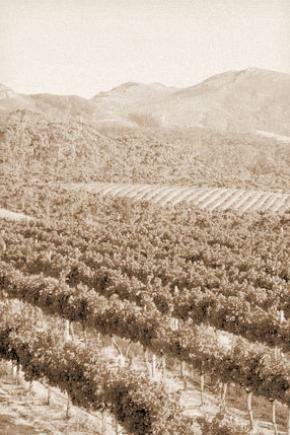 Steenberg remained the property of the Louw family until 1990 when it was purchased by J.C.I (Johannesburg Consolidated Investments), and re-developed into the glorious vineyard and hotel it is today. Graham Beck bought Steenberg Hotel and Steenberg Winery in April 2005. Steenberg Hotel has since flourished into a complete luxury destination, with two fine restaurants, an award-winning winery, a championship 18-hole golf course, illustrious private homes and a world-class spa set amongst the estate’s astounding natural landscape. 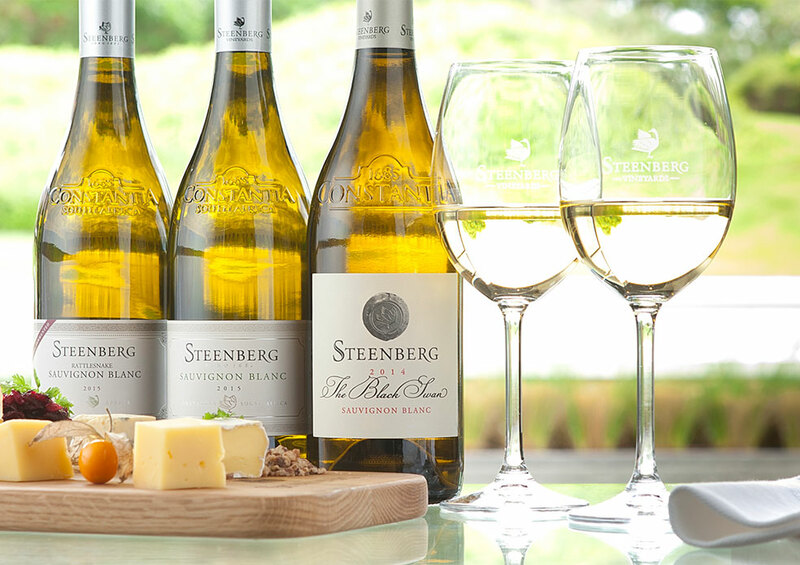 Simply purchase 24 bottles of Steenberg wine to become a member.